Capgemini brings a wealth of pre-built API-led integration assets to every engagement that includes years of learning and experience. 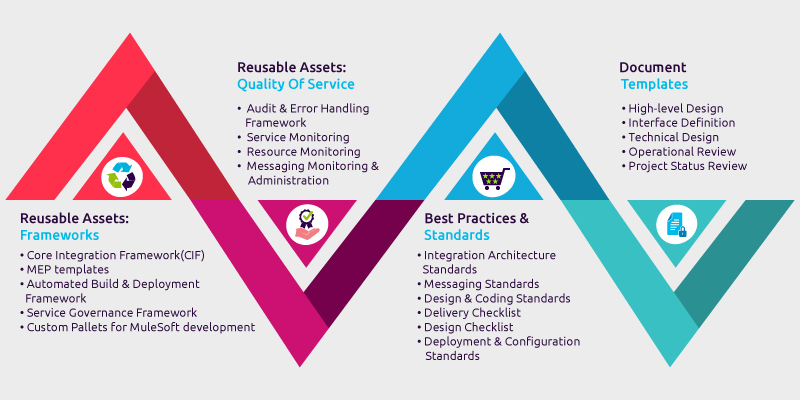 Working with Capgemini gives you the capabilities to thrive with an extensive knowledge repository comprising standards, templates, frameworks, and reusable assets. 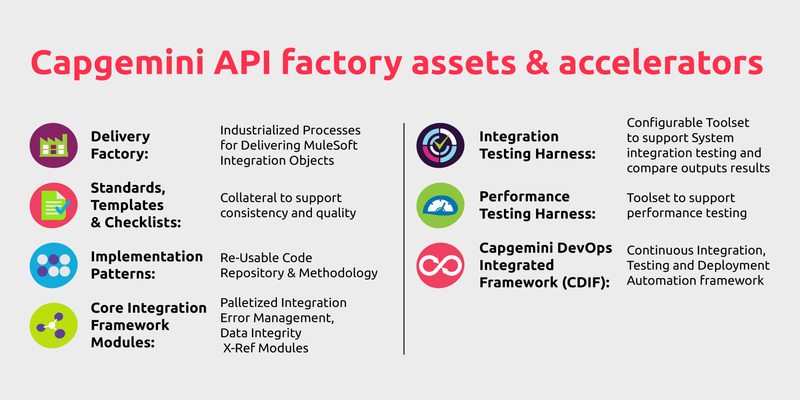 Capgemini’s industrialized API delivery models leverage our IP, so you realize business value. 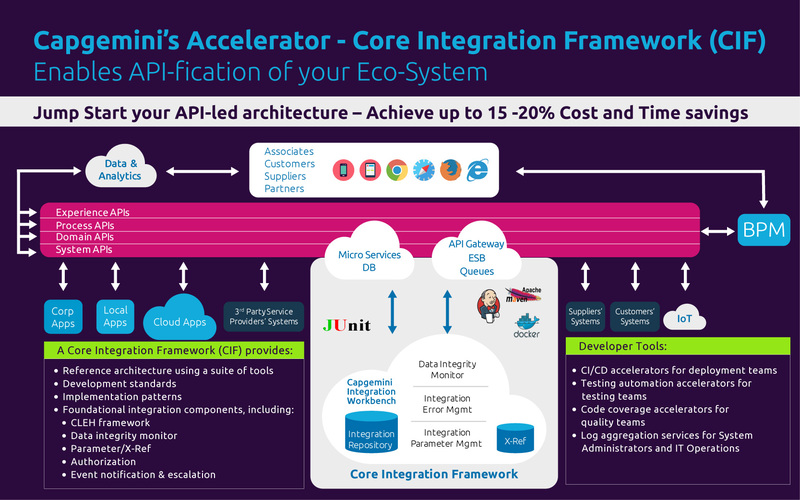 CIF enables API-fication of your eco-system and jump starts your API-led architecture, saving up to 20% in cost and time. 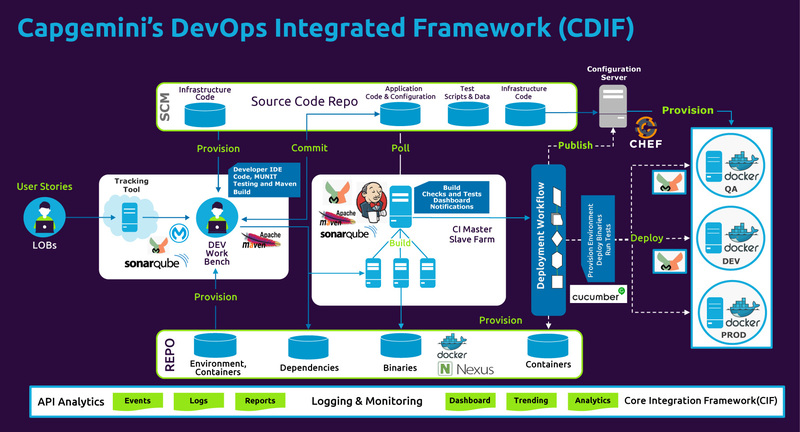 Capgemini has helped hundreds of organizations across multiple industries blend the culture, technologies and methodologies needed to sustainably capitalize on the real benefits of a DevOps deployment. Learn more about our conversational commerce offerings.